I brought the Orawellness Brushing Blend in September 2018 because my bleeding gums were not getting any better. They were sore and the bottom area was red. I did a lot of research beforehand to make sure this was something worth my while even though I had never heard of oil toothpastes before. One of the main reasons I decided to try Orawellness Healthy Mouth blend was because I trusted the manufacturers as I had already brought the Shine remineralizing tooth whitening powder from them before and had some good results. Another reason was the holistic natural aspect angle they were coming from. 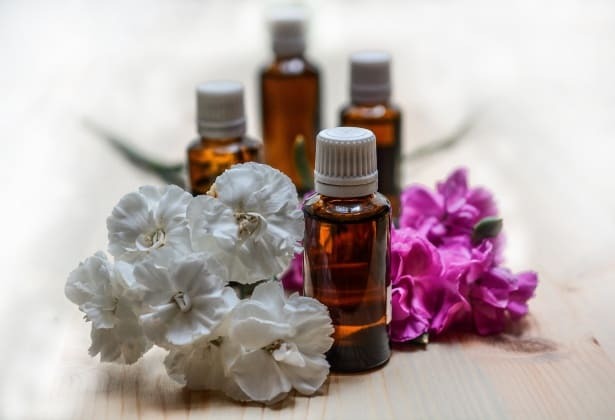 There was a lot of information out there regarding the excellent benefits of essential oils for oral health and quite a few research papers stated the anti bacterial, anti inflammatory, anti septic properties of a wide range of oils. I knew there and then that this is something I need to try! 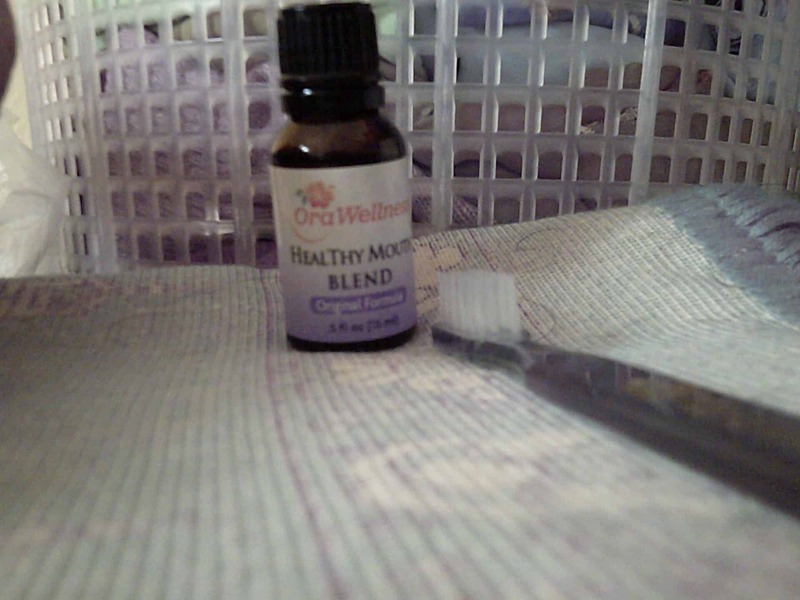 And in today's article I will share with you everything I know about the healthy mouth blend including my personal experience with it. Gum disease is not a nice thing to have but the healthy mouth blend could be just what the doctor ordered. It has powerful antibacterial and antiseptic properties. What this means is the bacteria in your mouth will get eliminated leaving you with a healthy mouth and fresh breath. Orawellness have finally got the USDA certification for their Healthy Mouth blend. It’s been a long time coming but all the years of work have finally got them their reward. 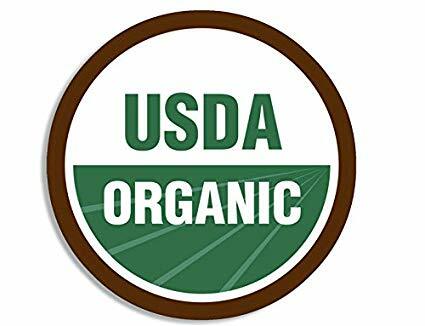 What this means is all the ingredients in the product are 100% certified organic. You probably already know that products made with certified organic ingredients are better for us. They have actually written a whole article on this subject so if your interested, go have a read over on their website. Ask your dentist or medical professional and they will say there is no problem with regular chemical filled toothpaste’s but research says otherwise. The fluoride ion, when mixed with Hydroxyapatite calcium in toothpaste is proven to repair/remineralize teeth. That’s what fluoride does, it’s a binder. It helps this nano form of Calcium absorb into teeth. This is mimicking what saliva does. There are a couple of other studies that show fluoride has reduced dental decay by 20-40 percent since coming into use in some countries. However, too much of anything and especially a poisonous chemical can be detrimental to your health. Fluoride can also do some serious damage to our health and teeth. Sodium Laurel Sulphate (SLS) is utilised in normal toothpaste to make it foam. It’s a detergent and is routinely found in many shampoos. It is a skin irritant for most people and might cause canker sores to anyone already prone to them. Saccharin is used to sweeten many toothpastes and mouthwashes. It has been shown to cause kidney cancer in lab rats and is rarely used as a sweetener in foods today because of this. The mechanism of the toothbrush itself is what gets rid of the leftover food particles from your teeth. Even if you brushed with water it would do the same thing. The only reason we use toothpaste is to eliminate bacteria that can cause gingivitis and bad breath. 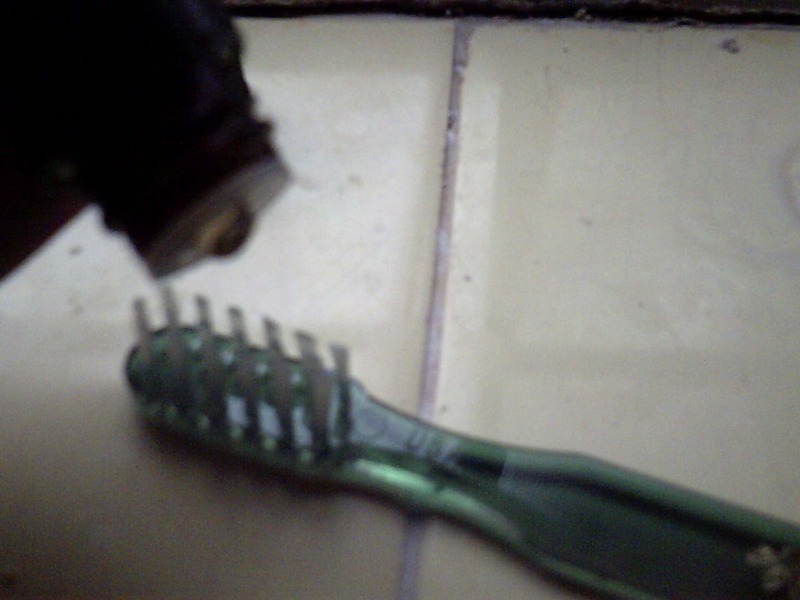 A good antibacterial toothpaste is required to disrupt and destroy these bad bugs. The main reason you should go for natural based toothpaste’s is they Do Not Contain any harmful synthesised chemicals that can harm your teeth. Instead, you will get naturally derived ingredients most often being essential oils. These are powerful and have been studied and shown to be just as effective at destroying bacteria. An example of a natural powerful ingredient most commonly used is Myrrh which can be regarded as a better alternative to fluoride. It’s used to fight bad breath and destroy bacteria that are involved in periodontitis because of its antibacterial and anti inflammatory properties. This is the reason it’s contained within the Orawellness brushing blend. I mean I used fluoride toothpaste all my life and had bleeding gums constantly on and off but as soon as I switched over to an essential oil based toothpaste my bleeding was under control. But that’s just my experience, we are all different so you might react differently to it. Helps to remineralize tooth decay by increasing saliva production. What intrigued me was the claim that it can stop and even reverse the effects of gum disease which I know many of you reading are interested in as well. 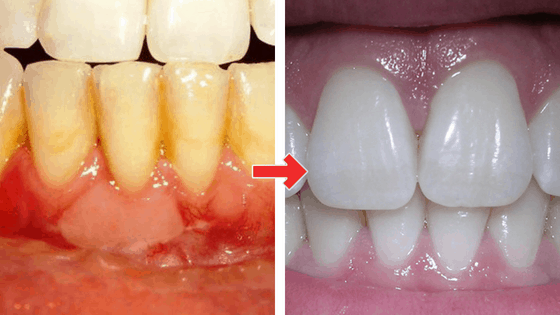 The oil based approach makes this toothpaste more powerful and effective because it can travel under the gum lines where the majority of the bad bacteria reside and start destroying them. Normal toothpaste does not have the ability to do this meaning you are not really improving your oral health and that’s why you see so many people complaining that they are not seeing any improvements in their oral health even though they are brushing and flossing twice per day. You must fight the problem at the roots if you want to see real changes! I have written quite a few related articles about how I improved the health of my gums. It was only in September (2018) I first heard about this brushing technique but boy oh boy, did it change my life or what! This is the only way I brush my teeth now and my gums are much stronger and my breath smells fresher for most of the day. The first time I heard about this, I thought it was to do with fishing or something but after some research, I found out that this is the most effective way of cleaning your gums. It has been scientifically proven to remove more bacteria than any other technique. The bass toothbrush has much fewer bristles than your average brush which helps it reach those awkward crevices in and around the teeth including the gum line. 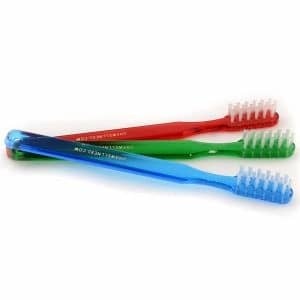 The bristles themselves are spaced out evenly and the ends are rounded which makes sure you are not irritating the gums which is quite common with normal brushes. It is important to get to the gum line because this is the location where the dirty bugs like to hide and build a long term home. Bulldozing this area with an antimicrobial solution and a bass toothbrush will give you the optimum chance of curing your gum disease and help you navigate to a greater oral health. The brush was invented by Dr. Charles Cassedy Bass who is considered by some as “the father of preventative dentistry”. He did a lot of research about oral bacteria and how they attach to the cells in our mouth and figured out that “zdec” or “zone of disintegrating epithelial attachment cuticle,” was the spot to fight gum disease for maximum effectiveness. An important thing to note is he himself suffered from periodontal disease and lost 2 teeth. His dentist told him he would lose all of them but that did not happen. He died at the age of 100 years and still had a full set of teeth (apart from the 2 which fell out). This clearly shows that Dr Bass knew a lot about oral health and we should be following in his footsteps. You can see that it took me close to 10 minutes to carry out all these tasks which can seem a long time but if you stick with it and plan it out, it becomes a habit. By doing this every day for 2 weeks my gums stopped bleeding and my breath was smelling fresh throughout the day. The first one is the little bottle the oil comes in is quite hard to extract the oil out of. The first time I tried to take it out nothing happened and then all of a sudden 6 drops just gushed out which was clearly too much. Other times the hole was blocked so I had to use a small sharp object to poke it for the oil to come out. The other slight criticism is the mouth blend comes in a 15ml small bottle which seems small. If they increased the size slightly it would make it more appealing to people in relation to its price. In saying that, my bottle lasted me 2 months which is a reasonable amount plus I used 3-4 drops which is more than what the manufacturers state. All natural ingredients – No additives, toxins or artificial business going on here. Gradually whitens teeth if used for a period – This is more of a side bonus of using the product for a prolonged period. What Do Customers Think Of The Orawellness Brushing Blend? As of February 2019 there are 681 reviews which clearly shows us that this product is selling like hot fire even though the brand isn’t known very well (sometimes it’s better when you have a small community). The general consensus was that it worked fantastically well and in some cases it even reversed gum disease. More amazing is the fact a couple of people even reversed their gum pocket size which is unheard of for many people. 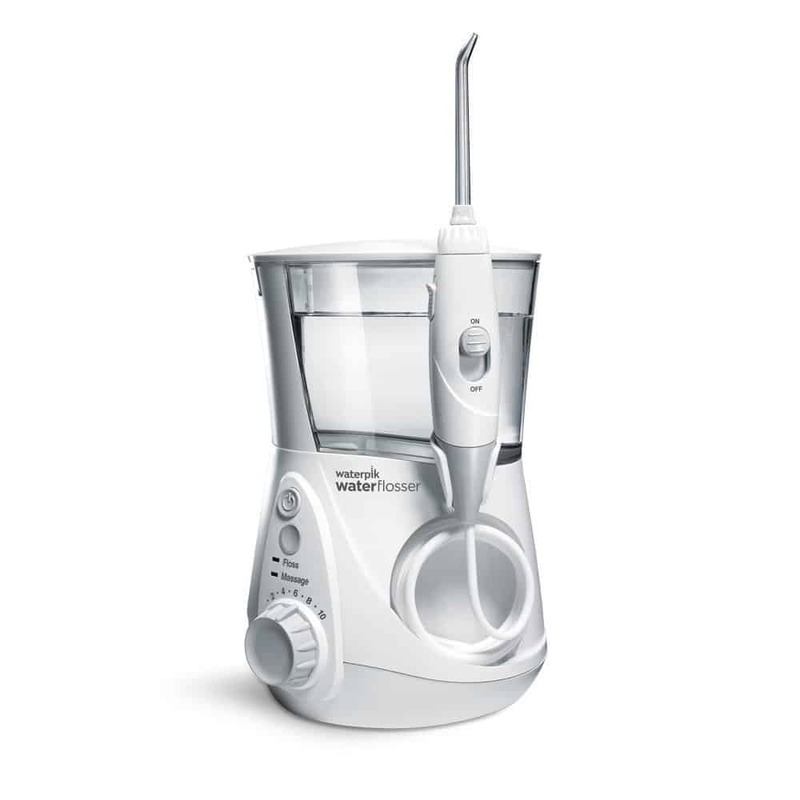 How Much Does The Healthy Mouth Blend Cost? 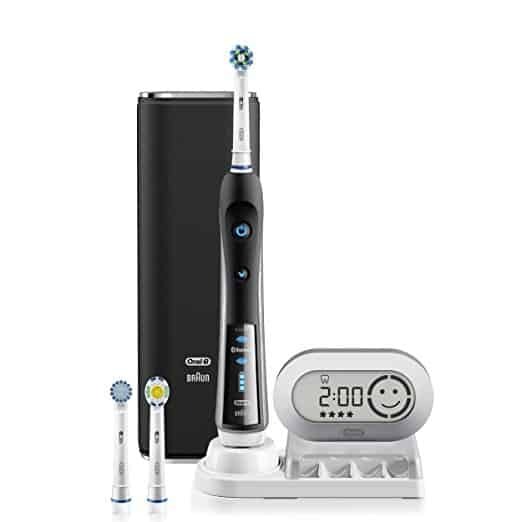 Currently the Healthy mouth blend is on sale for $22.97 but they have a Christmas offer which means you get a Free bass toothbrush with every bottle you buy. It won’t last long though, so be quick before stock runs out! Another reason we like this product is the BIG 365-day Money Back Guarantees they offer with all of their products. You are in a position where you can’t lose anything. To take advantage of this proven oil based toothpaste please head on over to Orawellness and place your order Now. The Orawellness Brushing Blend is a powerful mixture containing several essential oils that help contribute to its potency. It has anti bacterial, anti inflammatory, anti septic properties that help eliminate bad bacteria from under the gum lines. 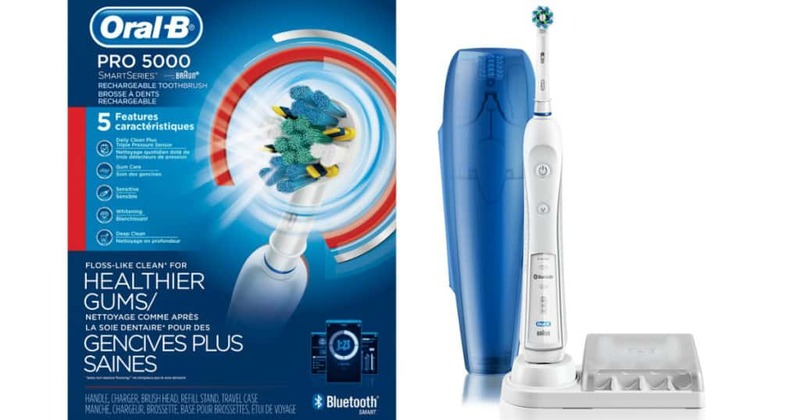 Using it with a bass toothbrush amplifies the results and helps to give you faster results. I have used it myself and within 2 weeks my gums stopped bleeding and they were not as sore. 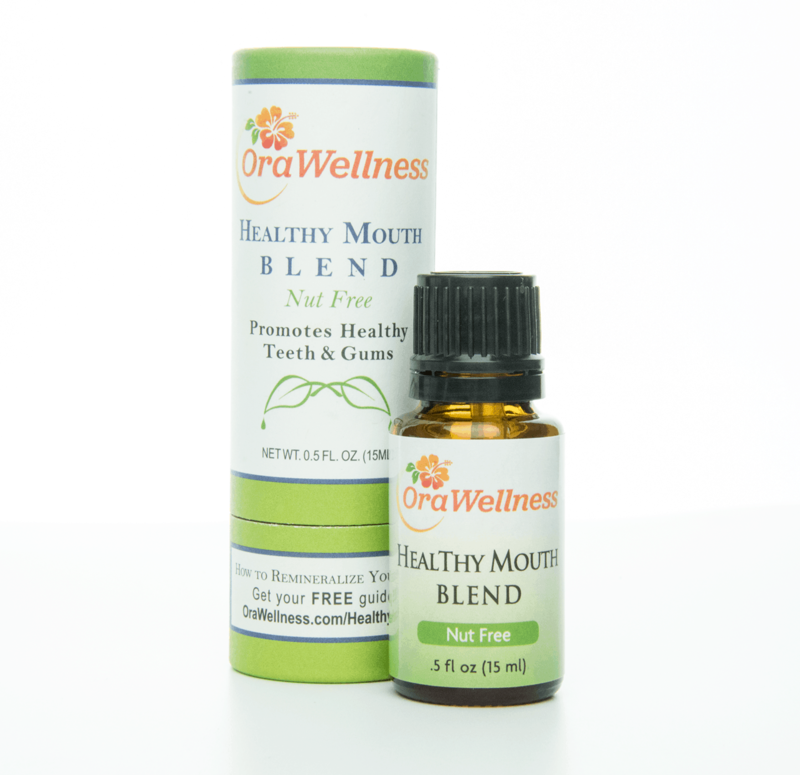 Unlike other oil based formulations, the healthy mouth blend has a nice minty taste to it making it pleasant to use and my breath stayed fresher for longer. If you have any sort of gum problems and are not seeing any improvements in your oral health, you may want to switch over to an alternative toothpaste and see if that works better. It did for me so who knows? It could do the same for you! I’ve really enjoyed reading this review as you’ve provided us with tonnes of valuable information. I love the fact that it contains all natural ingredients as that’s what I personally look at when buying a product like this. Is this only for adults or can infants and teenagers use it as well? Thanks in advance for answering my questions. Keep up the good work in writing this post! This brushing blend can be used by children as well but if they are under 12 years old please supervise them whilst using it. They could potentially swallow the oil even though it isn’t that dangerous. Thank you for a very detailed and analytical review here. I do have gum disease, and I’ve used a specific toothpaste for it. (Sunstar Gum). You are suggesting I should drop the toothpaste use completely and use this blend instead, or use it as a supplement to the traditional toothpaste? You can use both interchangeably. Make sure the essential oil solution is used to brush along the gum lines and then you can us the Sunstar gum paste to brush the surfaces of the teeth. Tooth problems can be painful and worrying for those experiencing it, it is capable of taking away inner peace and concentration to do anything else while it lasts ; I’ve been a patient of tooth ache in the past so I can tell. I think the orawellness is a good product considering its blend of natural ingredients and its oil base.I hope to try it soon. Oregano oil is supposed to be a really good treatment for toothache because of it’s analgesic properties. Try it and see if your pain goes away. Wow thanks for your post. The picture at the top on the left looks a bit like me right now! Healthy mouth blend seems to be exactly what I need but I live in the UK. Will they ship to me from the US or are there any UK providers as I have never heard of this brand before? They do have wholesalers across the world including the UK but they often times only stock limited numbers. The company do ship to the UK and average delivery times are 7-14 days. You can be assured you will get the product within the delivery time frame they have stated. Thank you for writing this informative article about Orawellness Brushing Blend. I have been suffering from dental problems for many days, especially the blood out of the tooth centre after brushing my teeth. Will this really help with bleeding gums permanently or is more of a temporary relief? Could this be used only for adults or children? The orawellness brushing blend will overtime strengthen your gums and teeth and this will eventually lead to your gums not bleeding anymore. It will take some time though so be patient with the treatment. It can be used by both adults and children.